June 14, 1800: The situation for France is grim. The Second Coalition has refused Napoleon's peace offer, the Egyptian campaign has been a costly failure, and fiscal neglect has devastated the French armies. But responding to these misfortunes with his genius, Napoleon has launched a sweeping plan of maneuver. While Massena defends Genoa, tying up Austrian strength and attentions, Napoleon crosses the Alps in the Austrian rear. 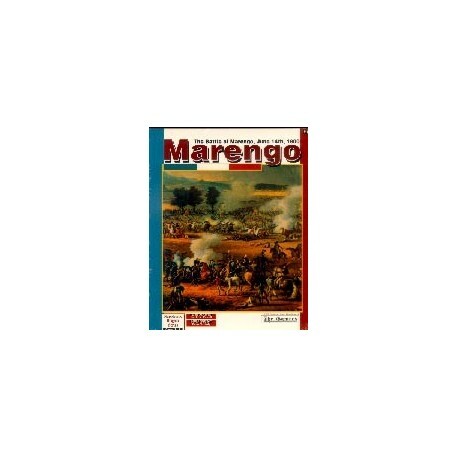 Frantically, the Austrian army under Melas counterattacks along the Bormida River, near the little village of Marengo. 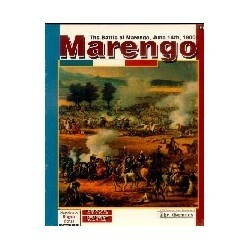 Marengo recreates this battle, one of Napoleon's first victories. The initial Austrian attack all but drove the French army off the field, but Napoleon's refusal to yield, plus the arrival of Desaix's fresh troops, turned defeat into glory. 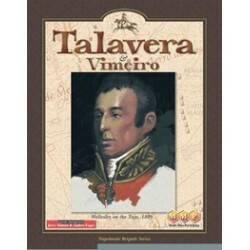 The game itself has the advantage of being a small, fast-paced affair, perfect for NBS novices and grognards alike.